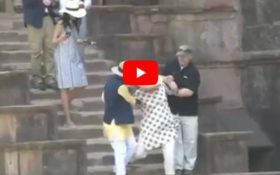 Former Secretary of State Hillary Clinton couldn’t make it down 15 steps during her recent visit to India. When the failed 2016 Democratic presidential candidate wasn’t comparing supporters of President Donald Trump to battered women and racists, she was touring Jahaz Mahal palace in Mandu. And she had an embarrassing — and scary — moment trying to walk down the stairs. Even with the help of an aide, Hillary slipped and nearly fell down the entire flight of steps. Then, desperately clutching the arms of two men, Hillary still couldn’t keep her balance. Remember when the mainstream media said Hillary’s health concerns were a right-wing conspiracy theory? This is the same woman that has been on vacation for the past year — and she can’t even make it down a single flight of stairs while in front of the camera. Video of Hillary tripping twice and requiring the aid of two men before kicking off her shoes has since gone viral. 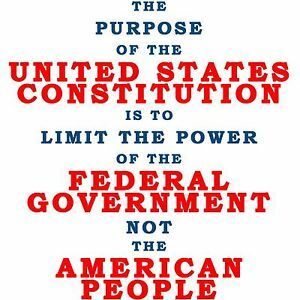 Ladies and gentlemen, this was very nearly the President of the Untied States of America. ← BREAKING! Russia will retaliate if attacked! Are Washington and London maniacs trying to start WWIII or is it bluff? I wish somebody would splash me on the internet when I trip on the flagstones in front of my house. This satanic afterbirth isn’t worth the coverage.